Resource Roundup! Daily Work - All Things Special Ed. Do you use a resource that you truly love? I do and it came from Teachers Pay Teachers. I thought every so often I would share a resource that I use in my classroom that I love. 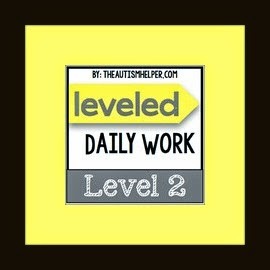 The product that I am featuring this week is The Autism Helper's Leveled Daily Work. I love having a routine when I teach and so do the kids. Not only does it keep me organized and it is easy to plan but the kids know exactly what they need to do. Each day my 4 fourth grade students come to my room for our literacy block from 9:00 till 10:15. At first I thought- how am I going to teach these 4 completely different students with completely different needs for 75 minutes??! Then I came across this product from The Autism Helper called "Leveled Daily Work." This is the first thing my students complete during our literacy block. They each independently (based on their needs) complete their Daily Worksheet during the first 15 minutes of our block. This resource contains 180 days worth of different daily work with the same structure each day. 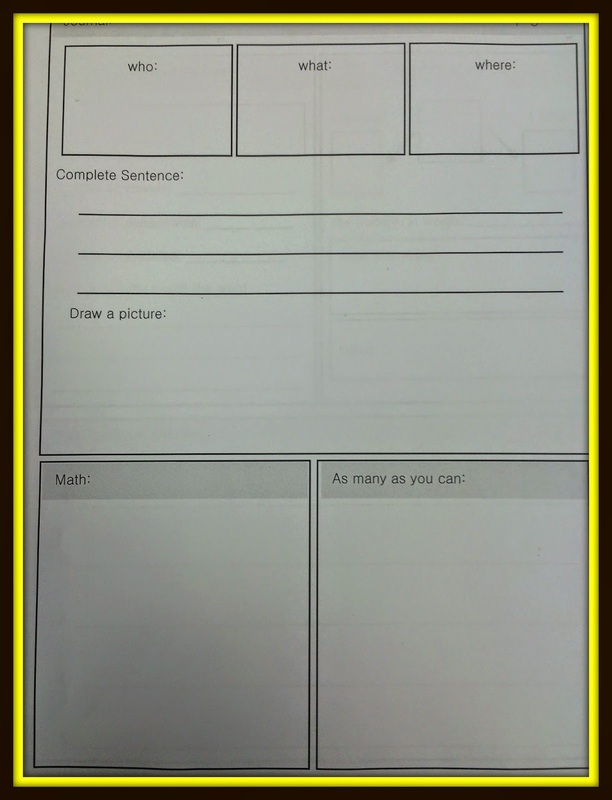 She also has Leveled Daily Work in level 1 and 3 depending on your students needs. I found that Level 2 worked best with my students (two students with Autism, one with an intellectual disability and the other with Cerebral Palsy). There is a student response page where the students fill in their answers and then you post the daily work page- I project it from my Smartboard. This is the front side, which my students complete. This is the back side, which at this time we do not complete. 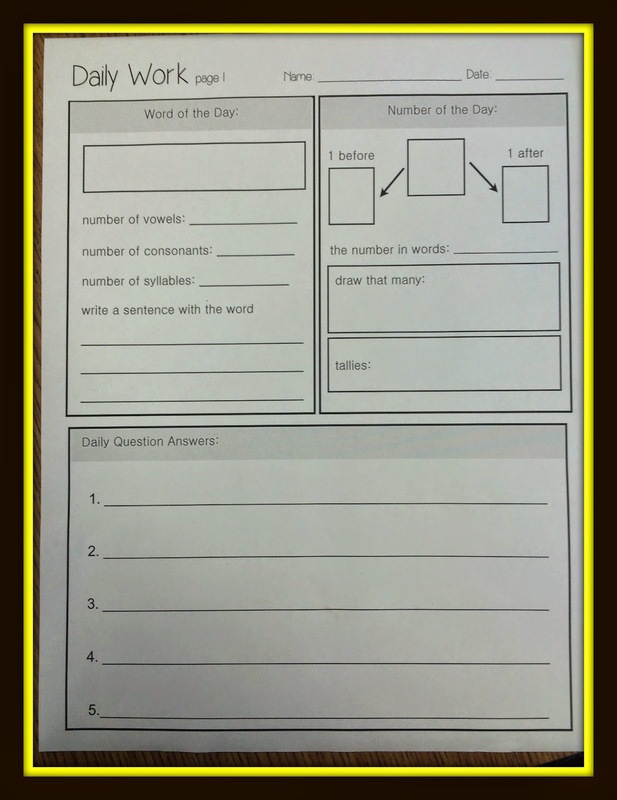 On the front side of the worksheet we complete: Word of the Day, Number of the Day and then the Daily Questions. 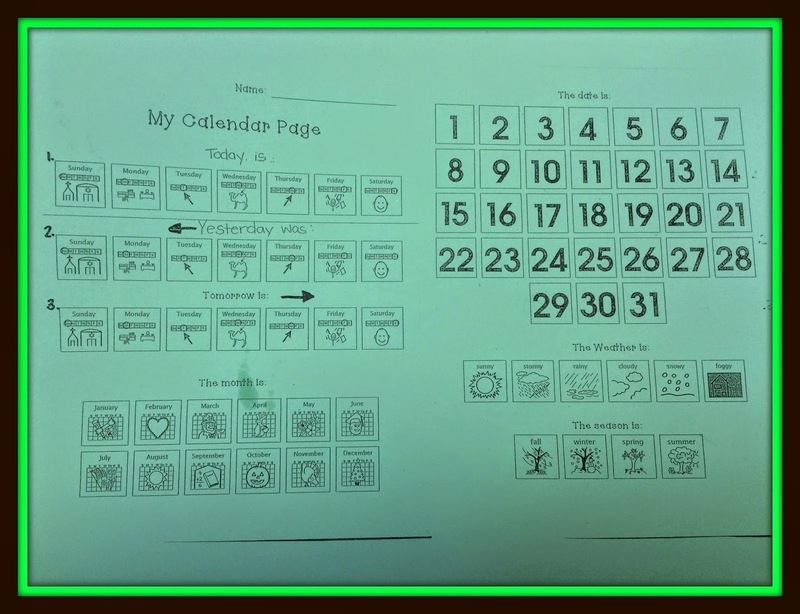 On the other side of the worksheet we complete our Daily Calendar. Due to time, and the other activities I want to get done within my time frame, we do not complete the Wh- Question Journal or the Math at this time. On the back side of our Daily Work, the students independently work on calendar skills. 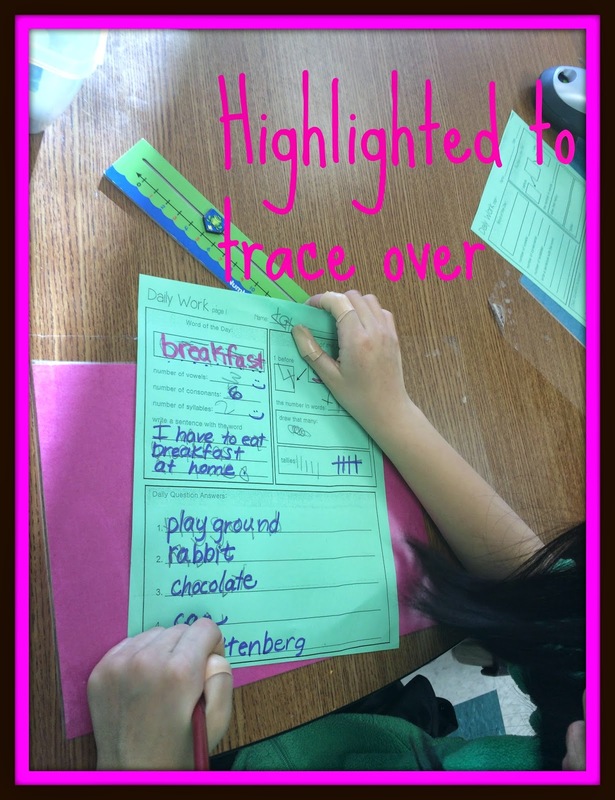 This resource can be used as: independent work, a warm-up activity, guided practice, direct instruction, small group work, a classroom center or a station run by a paraprofessional. When I first introduced the "Daily Work" I had to give lots of direct instruction. Then one by one each student was able to complete the pages independently. Now this looks different for each student. I have one student who can complete this on his own. Another student who needs cues to keep working and not stimming and as well as cues for answering some of the questions. The other two need help with fine motor for writing. 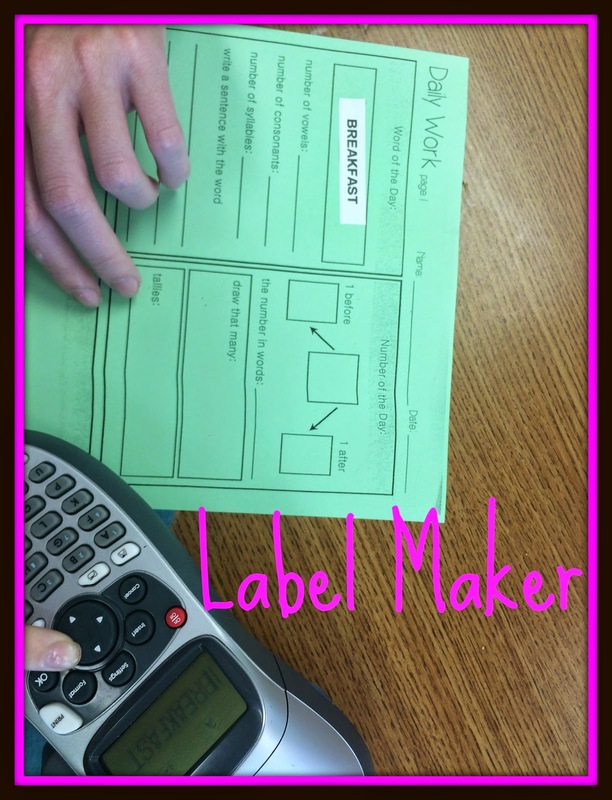 One student needs an adult to write the answers in highlighter for her to trace and another will use a combination of highlighter and label maker (I will go in more detail later on another post but we use that for short answer questions for him to type on). I hope that was helpful! Let me know if you have any questions or if you want to share what you do.